I have long been an advocate for high quality urban public schools and an opponent of PA Republican Tom Corbett’s wholesale slashing of financial support for poor urban school districts like the Chester-Upland and Philadelphia School Districts. The former is facing dissolution and the prospect that its students will have to attend neighboring school districts, while the latter has put forth a bold plan for reducing central school administration roles and decentralizing the school district. I see both moves as responses to calculated efforts by wealthy elites to destroy urban public education and to ignore the needs of thousands of families and children who deserve as good an educational system as any wealthy suburban community. With all that said, I find myself in the tentative position of supporting the Philadelphia School Reform Commission’s (SRC) plan to restructure the school district; but I do so with some strong caveats. As I understand it, the plan contains the following components. – First, the SRC proposes that the district be broken up into “achievement networks” that would include approximately 25 schools. Principals within those schools would be given greater autonomy to decide what programs to include and which teachers to work in their schools. The better performing a school, the more autonomy they would receive. – Second, as many as 40 low performing schools would be closed with the idea of moving those students into “high performing” schools, which could be either public or charter schools. This aspect of the proposal is projected to increase the percentage of students attending charter school to grow from its current 25% to 40% in the next 5 years. The proposal calls for new charter schools, but to only allow nonprofit partners to operate rather than for-profit companies such as Edison schools. – Third, the district is charged with providing “high quality…individually tailored training for principals and teachers” (Lerum, 2012). – Finally the district seeks to outsource many supportive functions such as maintenance, transportation and cleaning. Now these bold proposals being put forth by the SRC are not primarily driven by a progressive educational agenda; rather they are a response to the massive budget cuts required because of the loss of state funding for the Philadelphia School District. In this blog I have contended that the conservative agenda being put forth by Governor Corbett and others of his ilk is nothing less than the destruction of public education for poor people in favor of vouchers and private schools. Moreover, I have made clear my concern that charter schools drain money from the public school system and undercut the possibility for community input and control of those schools. Charter schools also are allowed to hire non-certified teachers and to expel students who do not fit in their system, thus sending them back to overcrowded, underfunded public schools. So how is it that I can support this plan? First, I support it because it is the best response to a bad funding situation. The SRC is to be commended for trying to do something innovative with the money they have to work with. Second, I support it because it gives principals and teachers more autonomy to respond to the needs of their students and families in ways that are appropriate. Under former superintendent Ackerman I saw many innovative local initiatives undercut by directives from the central administration that did not take into account the unique challenges faced by teachers and administrators in local schools. However, I offer my support with the following conditions and caveats. First of all, with the development of the achievement networks there needs to be the offer of sufficient resources for training and accountability. I asked one middle school teacher in a “low performing school” what he thought of the plan, and he said candidly, if the right person is in the principal’s office the plan would be a great improvement, but if unqualified or incompetent principals are allowed to stay in their jobs such a plan is a recipe for further chaos. Thus, the SRC, the Philadelphia City Council and the state and Congressional legislators must continue to seek adequate funding to provide this support. Giving people freedom to be creative without the resources to do so is setting people up for failure. Giving people freedom without proper accountability, is to sweep the problem under the rug. Second, if the plan does in fact significantly increase the role of charter schools, restrictions must be placed on those schools regarding the expulsion of low performing and problem students. If charter schools want to become a significant player, they cannot simply push their problems back onto the local public schools. Charter schools need to employ special education teachers who can address some of the unique emotional and behavioral challenges that face our students, and not simply send them out as “failures” in their system. Charter schools must not be allowed to be selective in their pursuit of excellence, they must demonstrate their excellence by serving all students. Finally, school district officials (the SRC and administrators) need to stop looking for “quick fixes” and commit themselves to a long term strategy for change. People who have been observing the school district far longer than me, have seen too many innovations come and go. Measures of success cannot simply be limited to test scores, but must include school attendance, school climate and the relationships develop among teachers, principals, students and families. While these other things are much harder to measure, they are vital to the overall success of a school. Furthermore, such changes require not just a quick fix but a wholesale culture change which can take several years. One of the most tragic decisions I have witnessed was the firing of WestPhiladelphia HS principal Saliyah Cruz whose efforts to create a safe and enjoyable school were widely recognized to be successful; however in her three years as principal there had not been a significant change in test scores. Any reasonable person could have recognized that before test scores could improve the school climate needed to be addressed, yet a desire for a quick rise in test scores led her to be transferred out of that position. The kind of short-sightedness indicated by the Cruz decision is deadly to any effort at sustainable, lasting change. While many teachers and other school workers oppose the plan, the fact is that the current system has not served most students well; the primary focus needs to be on what will serve all of the district’s students well. Given the hard choices forced on them by declining resources, the SRC is to be commended for its bold plan. Change will be painful, and there will be many stops and starts. My hope and plea is to give the plan time to work, and realize that given the anti-public school climate in Harrisburg and elsewhere, this plan for reform faces tough sledding, but it’s worth giving it a try. Graham, K (2012). 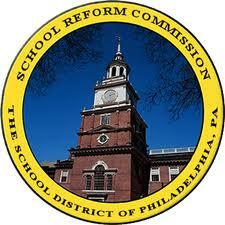 Phila School District plan includes restructuring and school closings. Philadelphia Inquirer, April 24, 2012). Kerkstra, P. (2012). A window to school reform. Philadelphia Inquirer, May 4, 2012. Whitehorne, R (2012). Commentary: Is there a ‘silent majority for the District’s transformation plan. The Notebook, May 24, 2012. Dear drick, thank you for this blog on school restructuring. I have always been supicious of efforts to dilute public education. Continuos tampering with public education has led to a decrease in real achievement. It seems that students learn more less now than over 50 years ago when I was a student. This cannot be blamed on teachers, but rather administrations many of whom use the students and teachers disrespecting both. Will restructing protech civil rights laws, and right to education laws. Will restructuring strengthen segregation which is still the mindset of many. The statement by Romney last week that school size does not affect the quality of education underscores the view of many about urban education, "we don't need small class sizes", while sending their children to schools with small classes, fine libraries and highly technologically equipped. While charter schools are a fact, we must fight for small class sizes in all schools. Charter schools teachers should be required to have the same qualifications as public schools. Teachers in both public and charter schools should demonstrate understanding of the different religious and social cultures with a respect for the student and community from which they come. Your views and caveats are critical to a decision which has already been made. Still, my view is to provide high quality education in the public school arena and stop the divisions. I've never understood why charter schools hire teachers without proper credentials. Is it to save money or are there other reasons?